Nails need to be moisturized to avoid breaking, splitting or chipping. TIP: Use in combination with TRIND Nail Repair for extra strong and beautiful nails in just 2 weeks. Oil free formula allows quick application of your nail polish. Contains biotin, vitamin E and B5. Apply a thin layer of TRIND Nail Balsam on bare nails. Allow to absorb for 1-2 minutes. Massage excess product (if any) into the nail plate and surrounding skin. Immediately after use you can apply TRIND Nail Repair or TRIND Caring Base Coat, before applying nail polish. 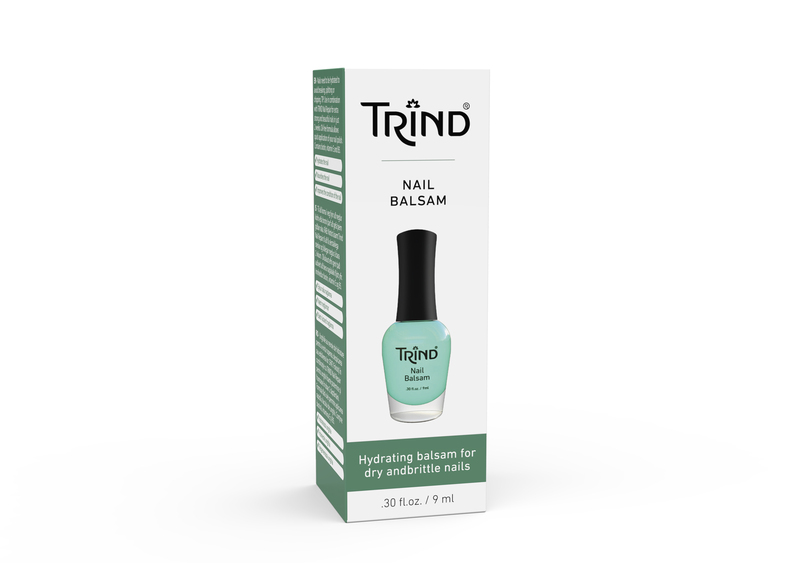 Use TRIND Nail Balsam as often as you like to keep nails in excellent condition, or use in combination with TRIND Nail Repair for extra strong and beautiful nails within 2 weeks (Step 1: Remove old layer with TRIND Nail Polish Remover. Step 2: Apply TRIND Nail Balsam, massage into nail and allow to dry. Step 3: Apply TRIND Nail Repair daily for two weeks). After use, clean the rim of the bottle.